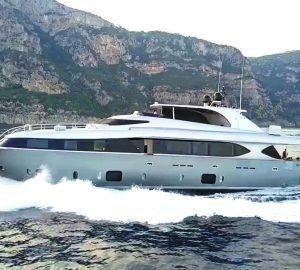 Luxury motor yacht WIL POWER is a 2001 Maiora which is new to the charter market after having an extensive refit in 2007. 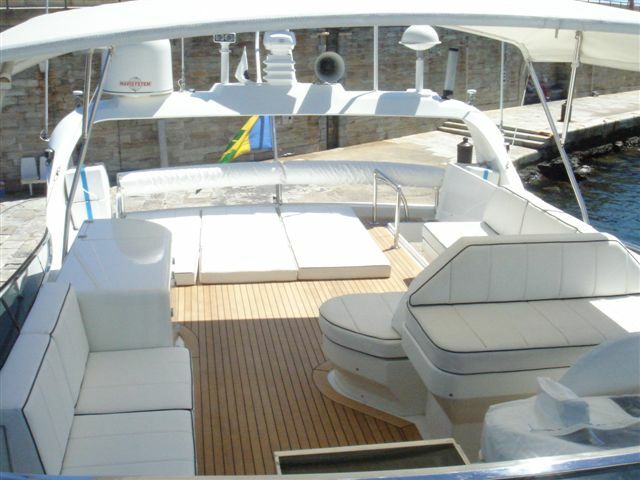 She is now available for charter throughout the Caribbean. 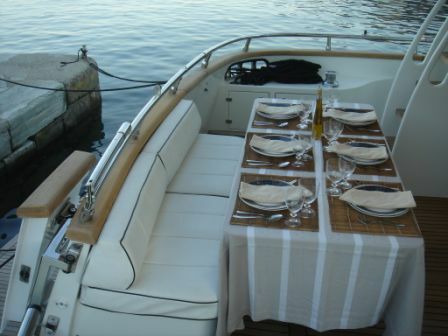 WIL POWER has 3 double cabins which can accommodate six guests. 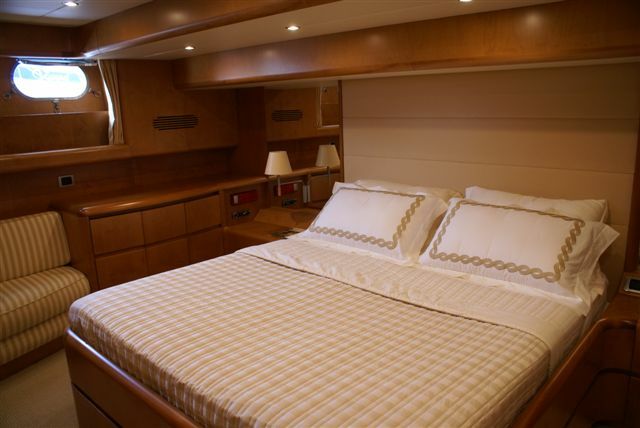 The master cabin and VIP cabin both have king size walk around berths and are very similar in size. 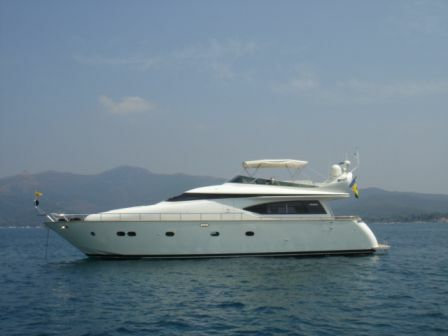 Therefore, this yacht is perfect for two couples wishing to have similar sized cabins, or also for a couple with children. 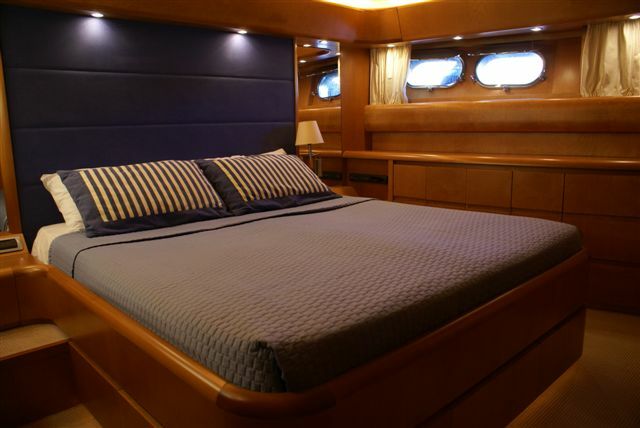 The guest cabin has twin beds which can also be converted to a King size bed. 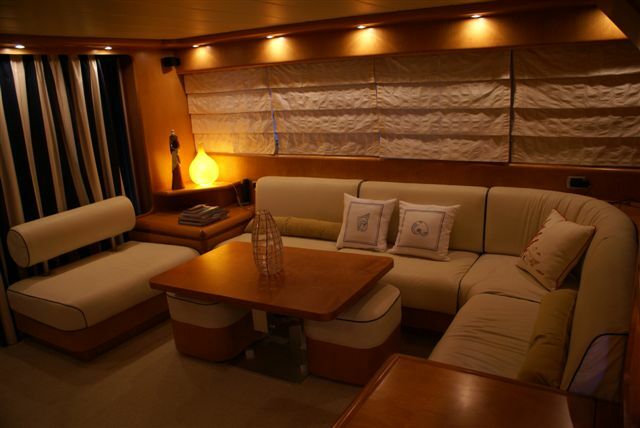 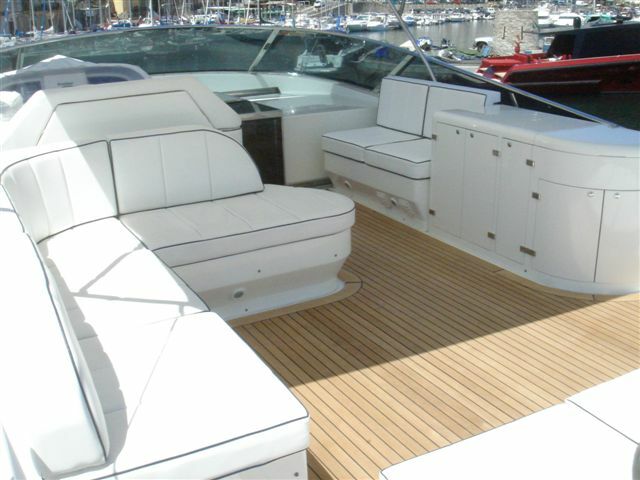 This yacht has a spacious saloon and has a TV/DVD in the saloon as well as in each stateroom. 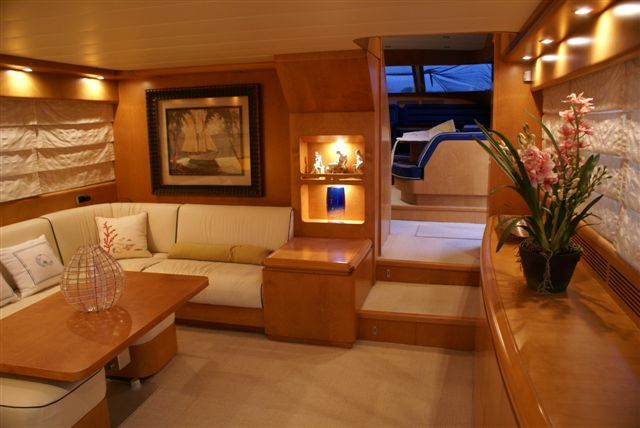 There is a sound system on the aft deck and the fly bridge. 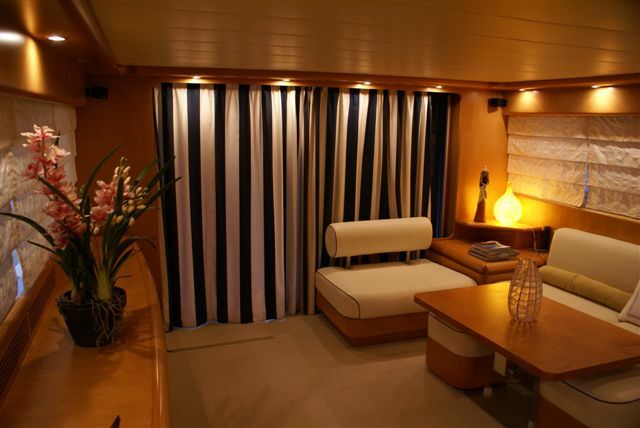 Three staterooms - the master and VIP have king size walk around berths which are both almost equal in size. 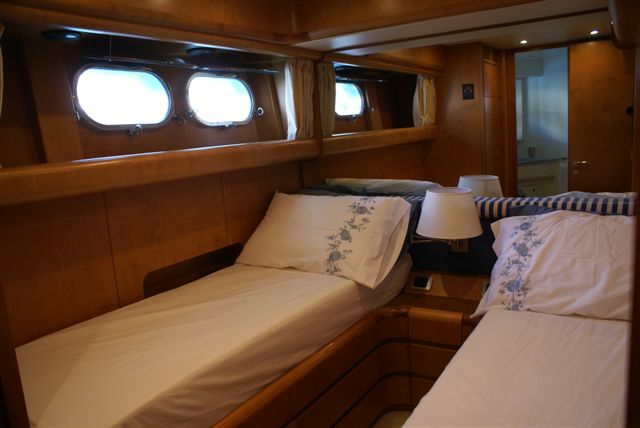 The guest cabin has twin beds which can be converted into a King size berth.